When you are incredibly busy with an overloaded amount of work that must be done as soon as possible, it’s nigh on impossible to keep your workplace clean and tidy. While your place of business may not be open for clients to see, you need to make sure for several reasons that it is clean, in regards to not only looks but also (more importantly) germs. 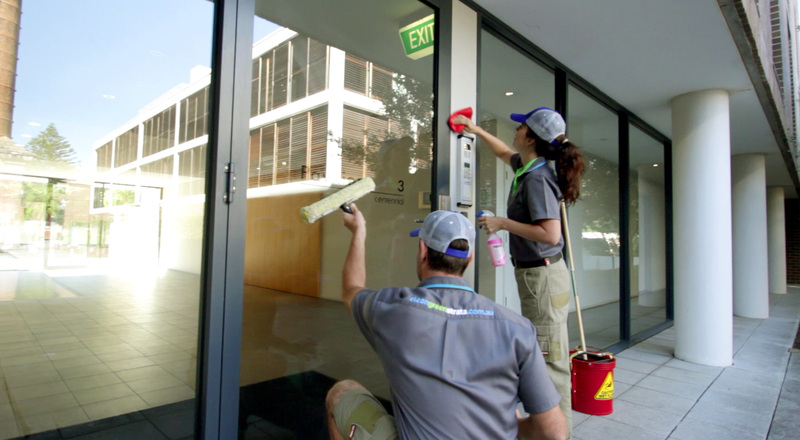 Over more than 20 years of work in the industry, we here at Clean Green Commercial have been working hard to ensure our clients throughout Parramatta receive a premium level of office cleaning service each and every time we’re called. The experience that we have over a myriad of different buildings and business types has allowed us to fine-tune and perfect what we deliver. Our skillset covers businesses such as gyms and schools though to health care facilities and much more, so we can help you no matter what type of building you need cleaned. We know that when it comes down to the commercial cleaning industry, it’s all about reputation. For this reason, you can rest assured that each job we complete is done so with the highest level of professionalism and care. We care about our clients, and work our hardest to ensure satisfaction. In fact, we have a satisfaction guarantee. Every year, there is an abundance of money that’s lost because of absenteeism due to illness. When taking this into consideration, you can see that it’s very important to maintain a healthy and hygienic office – it may even save your company business down the track. We will disinfect and scrub tirelessly to make sure that you’re left with a resulting work area that’s much healthier. Understanding that each and every client is different and therefore has different requirements, we will discuss with you exactly that you’re looking for. Once we understand your needs, we’ll put together a package that works for you specifically. For any further information about how we can help you, give us a call now on 1300 481 258. Our office is open 24/7, so we’re literally always here to help! Otherwise, you can send us an email outlining what you’re after, and we’ll respond ASAP. Our commercial staff cover many areas of NSW too; Chatswood, North Ryde, and more. Speak to us today and find out where else we cater for.